For a horse-racing city, Louisville, Kentucky sure loves bicycles. At the advent of the 20th century, more Louisvillians had turned onto the new sport of cycling than in any other city in the U.S. 50 years later, a stolen bicycle angered one young boy so badly, he became the greatest fighter in the world. The disgruntled bike owner was named Cassius Clay (Muhammad Ali). In 2013 Louisville was the first non-European city to host The Cyclocross World Championship. Combine this passion for cycling with hip, rust-belt revivalism, southern hospitality, urban green space, and historical charm, and you’ve got one of the most dynamic cities in America. Louisville is also the epicenter of the Kentucky bourbon craft. 150 varieties of the drink exist amid trendy enclaves of artisan cuisine and indie music. Day 1: Earn your night’s bourbon and cover some ground with a long pedal. 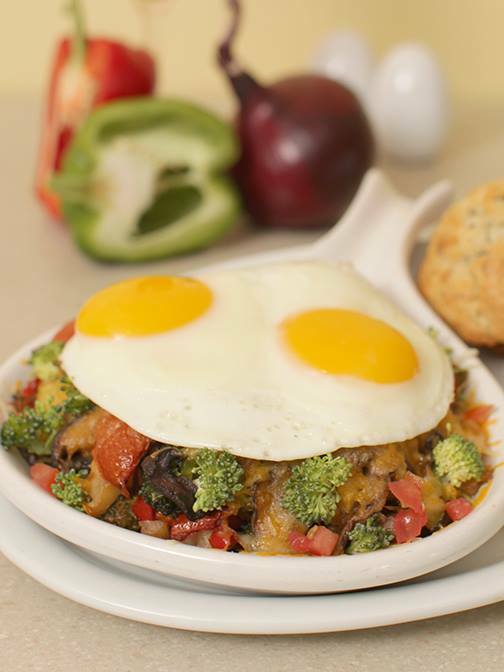 Prime up with a hearty breakfast at Wild Eggs, a four-time winner of the Louisville’s Best Breakfast Award. 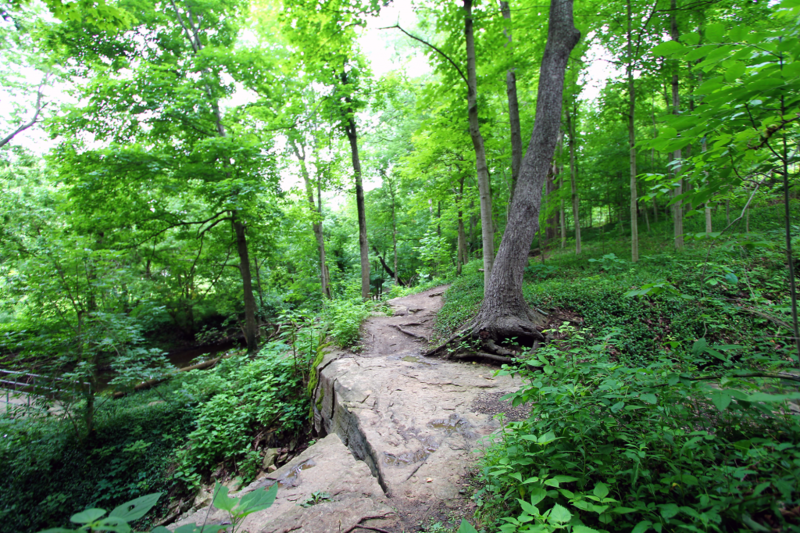 If it’s singletrack you’re after, Cherokee Park offers 10 miles of moderately challenging trail right downtown. Just south of the city, Fort Duffield Park yields 10 miles of trail, bolstered by jumps, berms, and log crossings. Check out the fort, an earthen Civil War garrison, and surrounding cabins used by Confederate guerrillas. A third mountain biking option takes you 100-feet underground to the Louisville Mega Cavern, a 7-acre, subterranean bike park that was once an abandoned mine. Here you’ll find 45 trails and year-round 60-degree temperatures. A four-hour pass runs $24. Cherokee Park offers 10 miles of moderately challenging trail right downtown. Louisville boasts a famed urban park system designed by Frederick Law Olmsted, creator of Central Park and the Biltmore grounds in Asheville, North Carolina. Road bikers have innumerable options, but locals recommend Olmsted’s parkways. Iroquois Park affords excellent panoramas of the skyline. City planners are keen to open a 110-mile loop of paved pathway, dubbed the Louisville Loop. 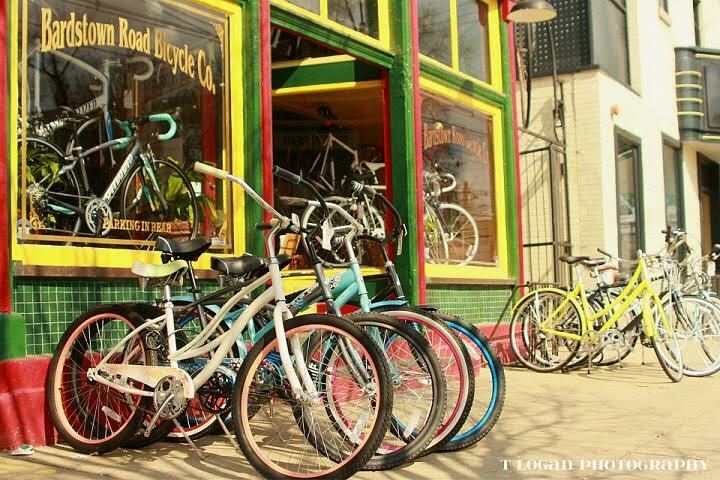 For repairs, gear, and advice, head to Bardstown Road Bicycle Co. Check out their mini-bike museum, where one look at a 19th-century rig quickly confirms: the golden age is now. Afterwards, grab lunch at the Blue Dog Cafe in the quaint Crescent Hill Neighborhood. 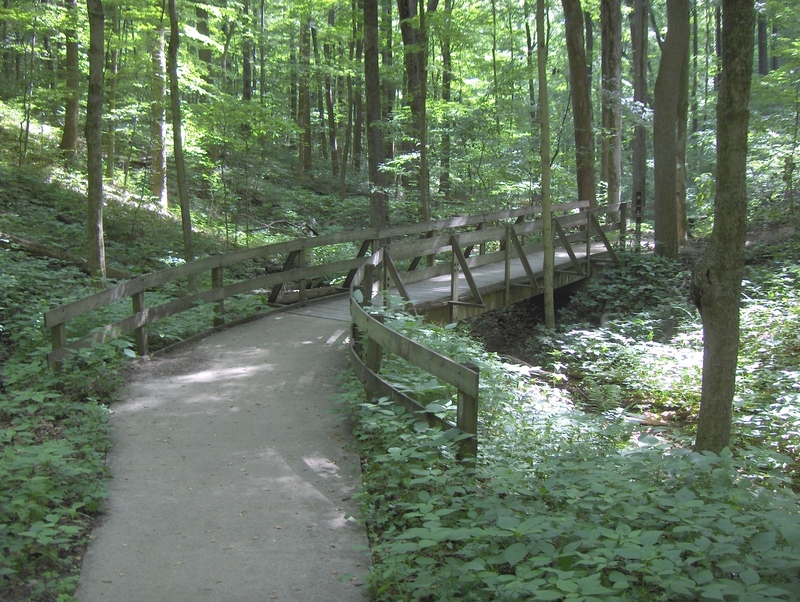 If you still have energy, take a 20-minute drive to Jefferson Memorial Forest. At 6,500 acres it is the largest municipal forest in the U.S. Hike on 35 miles of trail or channel your inner primate at Go Ape Adventures, where 40 tree-top obstacles test your skills. With non-compliant weather, hit any of Louisville’s three indoor climbing facilities. 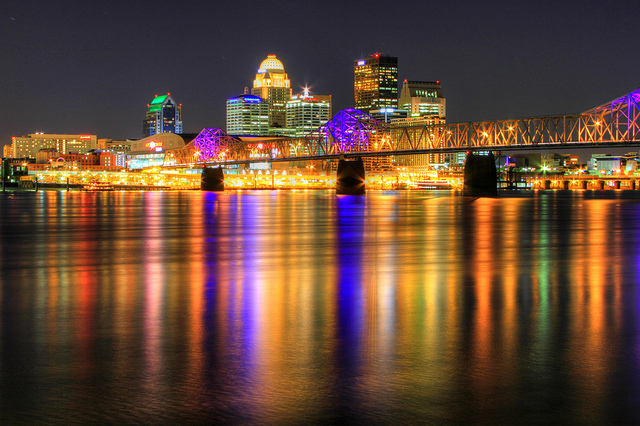 Louisville nightlife revolves around food, craft cocktails, boutique neighbors, and live music. Hit the East Market District, or “Nulu”, for beer gardens, locally-sourced food trucks, and garage bands. Whiskey hounds should head to Butchertown or Clifton. Watch for nationally-touring bands, festivals, and various other events. Waterfront Park hosts Forecastle for three days every July. Widespread Panic, Modest Mouse, Sam Smith, and hometown-favorite My Morning Jacket headlined in 2015. The Jefferson National Forest is the largest municipal forest in the U.S.
Day 2: Louisville owes it existence to the mighty Ohio River, hence the nickname “River City”. The river was a bastion of trade and a cultural divide. Take time to explore this iconic waterway. For a leisurely paddle, put in at the community boathouse or Charlestown State Park, just across the river in neighboring Indiana. Avoid a Huck Finnian mishap and watch for barges. The Ohio remains a commercial shipping route. Beach at Rose Island, 18-Mile Island, or 12-Mile Island, where sand and a rope swing await. 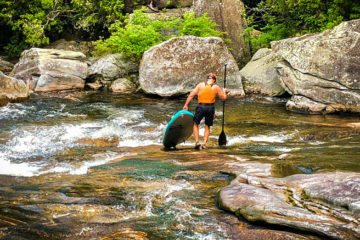 When the conditions are right, seasoned whitewater paddlers can score big at the Falls of the Ohio. Like Ottawa, Canada, Louisville is an urban playboating destination. Four class III-IV waves pump within a one-mile stretch at The Falls. Check for releases from November to June. In the summer, style the class II waves on the tamer Lower Falls. Always be mindful of water levels and conditions as the Ohio River can be unfit for human-powered crafts at times. Anglers can head to Floyd’s Fork at Beckley Creek Park where bass, trout, and panfish abound in mellow waters. Kayaks and canoes are available for rent. Some prefer to fly fish the fork. Lights from Downtown Louisville Reflecting off the Mighty Ohio. Before you make your way out of town, stroll Old Louisville. The largest Victorian neighborhood in America leaves you with Louisville’s signature charm. Watch for ghosts, who reportedly haunt many of the mansions. Central Park B&B: For around $150 a night, book swanky, Victorian digs in the heart of Old Louisville. Louisville Metro KOA: Head north of the Ohio River into Indiana and save money at an urban campground. Air B&B: Numerous options plant you in homes right in the hippest neighborhoods. Proof on Main – Bison burgers, bourbon, an art gallery, and Levon Wallace the most talked about chef in Louisville. Blue Dog Cafe – A happening community cafe with the best artisan bread around. Jack’s Fry – A fine-dining staple with an old-time Louisville feel. 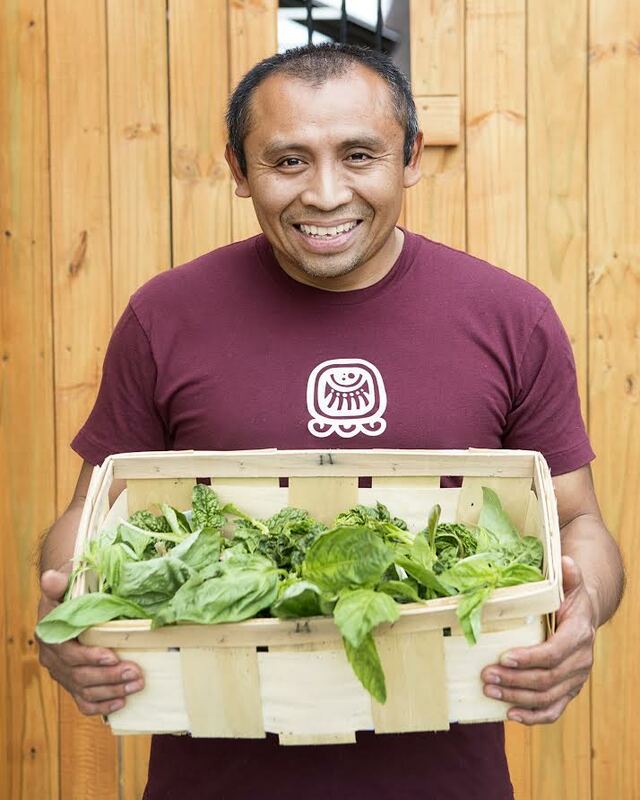 Mayan Cafe – Recipes from the Yucatan made with food grown in Kentucky. El Mundo – $2.50 street tacos, renowned margaritas, colorful atmosphere, and an outdoor patio in Crescent Hill. Frankfort Avenue Beer Depot – Meat smokers, beer, and corn hole makes FABD Louisville’s favorite BBQ joint. Quest Outdoors – Three locations, two of which are open seven days a week, brim with gear and local expertise. Parkside Bikes – Two stores, housing the largest inventory in Louisville, have built fix-it stations on the Olmstead Parkways. Bardstown Road Bicycles – A chic store front with gear, repairs, and a mini bike museum.